I want to go to Australia. Like, right now. When I eventually do get there, there will be several wineries I will make a point of visiting – and this will be one of them. Located against the backdrop of the Grampian Mountains (yes, Australia has mountains) near Ballarat and way northwest of Melbourne in Victoria, Mount Langi Ghiran is in one of Australia’s finest cool climate grape-growing regions. Like many Australian vineyards, Italian immigrants planted vines hoping to recreate a little of their homeland. These vines were planted originally in 1963 by the Fratin family, and then replanted later to make this iconic old block of vines. 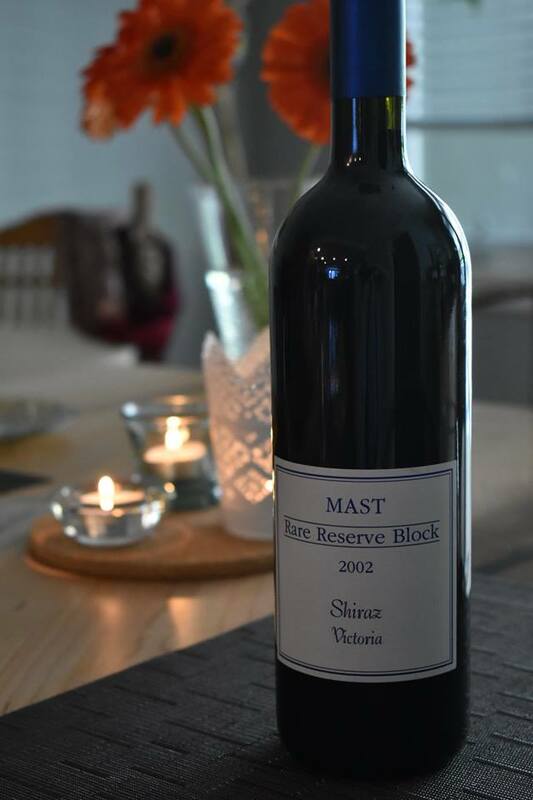 In 1980, the Fratins hired a consultant named Trevor Mast who had a vision for Shiraz as ‘the’ grape for this part of Australia. They’ve created award winning, cool climate Shiraz wines ever since – and were accorded great honours in 1996 when the Mount Langi Ghiran Shiraz appeared on the cover of Wine Spectator beside the famous Penfolds Grange and Henschke’s Mount Edelstone Shiraz. Ten years later, Trevor Mast became ill with early onset Alzheimer’s disease and this perennial award winner has been named for him. On the eyes, it is a translucent garnet with a shockingly fresh and fragrant nose – showing just picked berry and cedar, with fern and leather. For a 16 year old wine, this really surprised me. Clearly nothing but the best grapes and most careful winemaking went into this bottle. The palate is dry with dusty tannins, high acidity and loads of fresh berry with black pepper, cedar frond, green leaf, dried herbs and leather. This is a top quality, developing, elegant wine – clean and clear, complex, and absolutely delicious. The drinking window for this wine is wide open. If you’re holding, you’re lucky. Take care of it and it will be last easily until 2022-2023. Although there was some sediment, there is no need to decant long prior to enjoying. It unwound beautifully from the bottle straight into the glass. 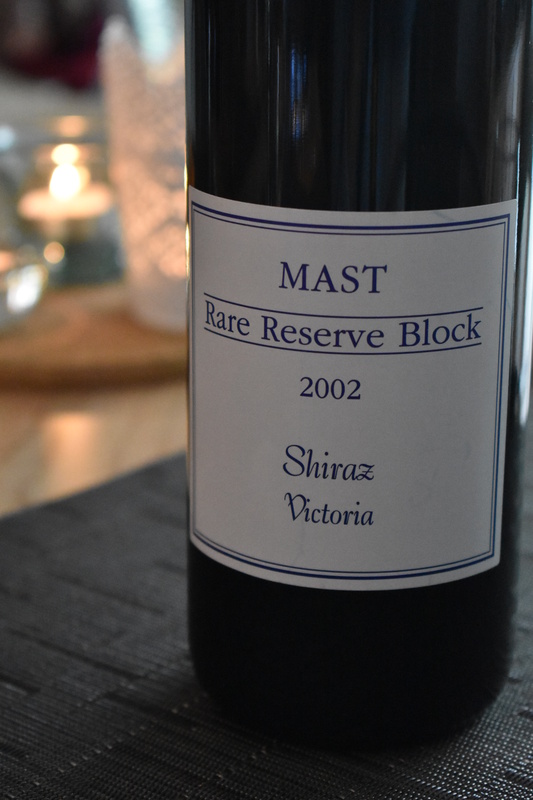 This entry was posted in Australia, RED, Shiraz / Syrah and tagged 14% abv, 2002, Aussie wine, Australia, Grampian, MAST, Mount Langhi Ghiran, Rare Reserve Block, red wine, shiraz, Victoria, wine. Bookmark the permalink. Of course! I hope to plan a trip for 2019… the problem will be narrowing down the places to go!